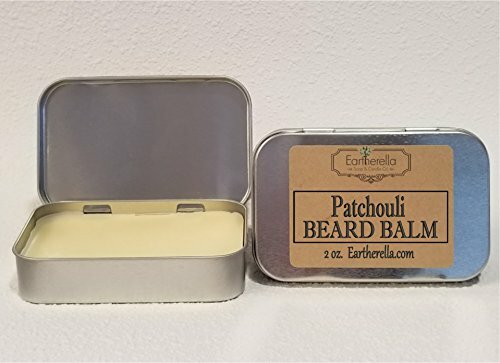 This is a 2 oz sized tin container of Patchouli scented beard balm for men's beards & mustaches. This balm is handcrafted right here in the USA, in small batches and made with only the highest quality ingredients. This balm will soften and condition your beard & mustache and give it control. To use, just put a small amount in your hand, and rub your hands together until the balm liquifies a bit, then, starting at the roots of your beard, rub in all the way down to the ends. Ingredients: Beeswax, Shea Butter, Coconut Oil, Sweet Almond Oil, Jojoba Oil, Essential Oil. If you have any questions about this product by Eartherella Soap & Candle Co., contact us by completing and submitting the form below. If you are looking for a specif part number, please include it with your message.